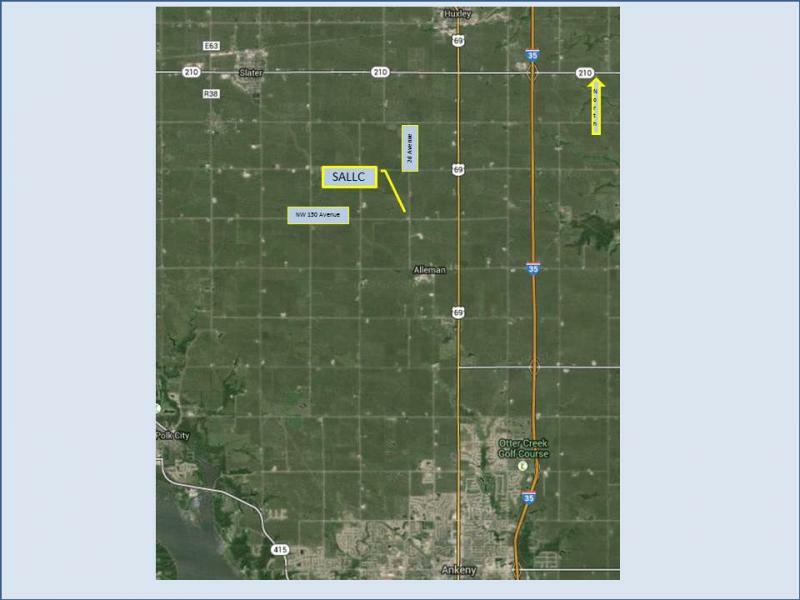 Or SALLC is 1 mile west of Hwy 69 on 150th Avenue which is about 3 miles south of the intersection of Hwy 210 and Hwy 69. NOTE: SALLC is in a rural location and not in the Slater metropolitan area. So please do not go to Slater City Center when looking for us. We are approcimately 3 miles south and 3 miles east of downtown Slater. Please use the form below to ask your specific questions.